Paul Azinger wasn't any better than he was with FOX. Where was Johnny Miller when he was really needed? Probably at home watching round four of the Phoenix Open like everyone else. On a day of chaos, mayhem, craziness and unusual happenings at the Phoenix Open, Miller’s substitute was as bland as a bowl of mush. 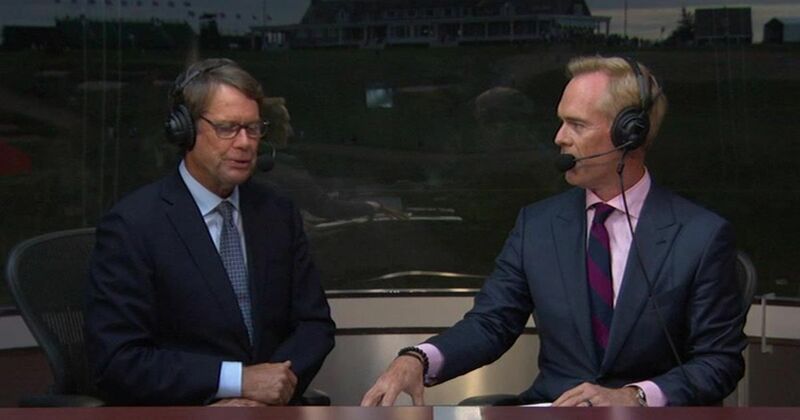 It was really hard to tell that Paul Azinger was on the set, working for NBC as the analyst-heir-apparent to Miller, who retired from the television booth after Saturday’s third round in Phoenix. On a day when Rickie Fowler rose, then fell, the picked himself up off the canvas to finally win the Phoenix Open, Azinger brought little to the party. Is that the best Azinger could come up with? Yes, he has very, very large shoes to fill but on Sunday, Azinger simply wasn’t up to the task when great drama was unfolding there right in front of him. Best thing is the crowd noise made it tough to hear the commentary at times. And that was a plus for Paul Azinger. It’s gonna be a long season for NBC. Paul Azinger did what every person does on their first day on the job…I met him at my club about 2 years ago…We had an excellent conversation from A to Z on golf and the tour…He is better in person and just needs to bring that to the booth…I told him that I have been watching golf on TV since 1965 and without a doubt, his comment about Tiger Woods when Tiger was having issues with his swing was the best comment of all time about anyone that is a tour player!…”Tiger is playing like he has one ball left in his bag!”…Wonderful observation! FPPGA: Thanks for your great observations…..no argument here, we think alike! Check in often, please. 36 in one day is tough for Tiger at his age and given his surgical history. I think he’ll be fine at Augusta.